Free Athletics Wheelchair Racing Workshop for athletics coaches, disability sports coaches and people with a disability who would like to learn more about wheelchair racing. Content: Race chair maintenance, race chair positioning and push technique. 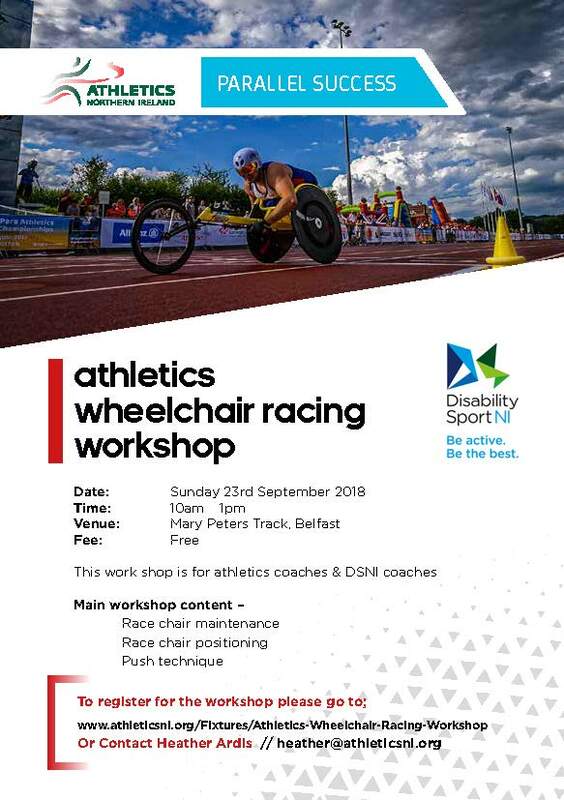 To register please visit https://athleticsni.org/Fixtures/Athletics-Wheelchair-Racing-Workshop​ or contact Heather Ardis on heather@athleticsni.org.